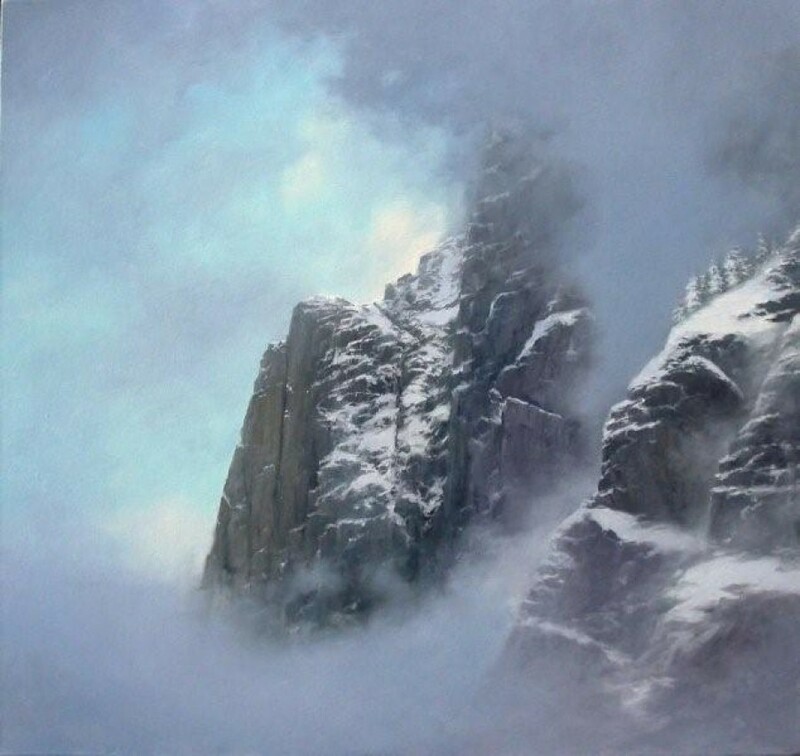 Stock Schlueter - (b. 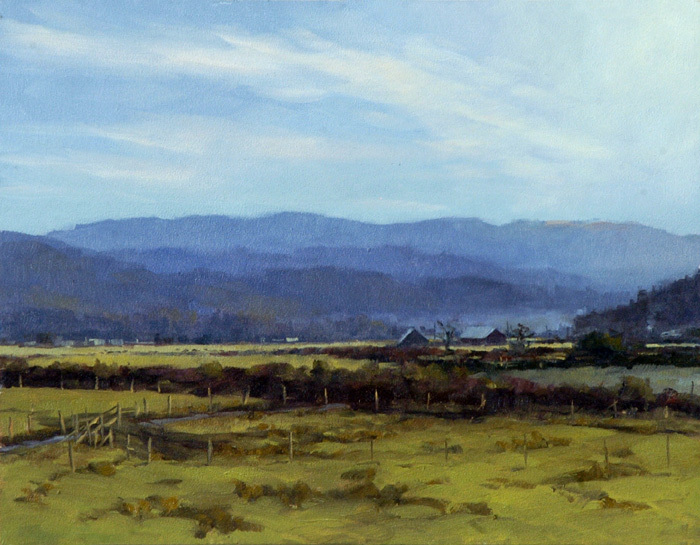 1949) is a native California painter who has dedicated his painting career to the Northern California landscape. 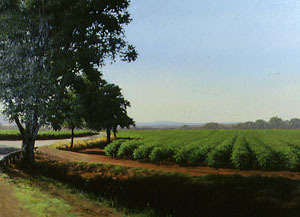 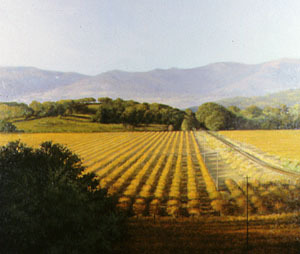 Schlueter paints the vineyards, valleys, farms, et al. 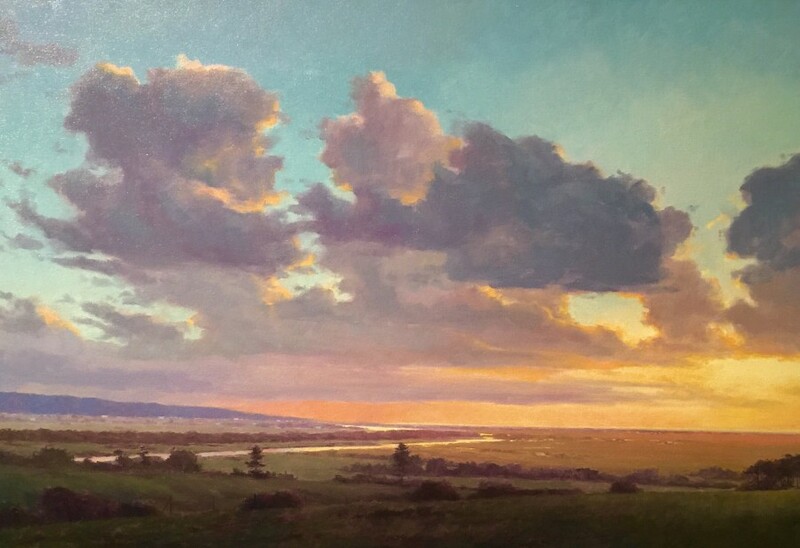 of California in a delicate manner, keenly observing minute details and producing magnificent medium to large-scale results. 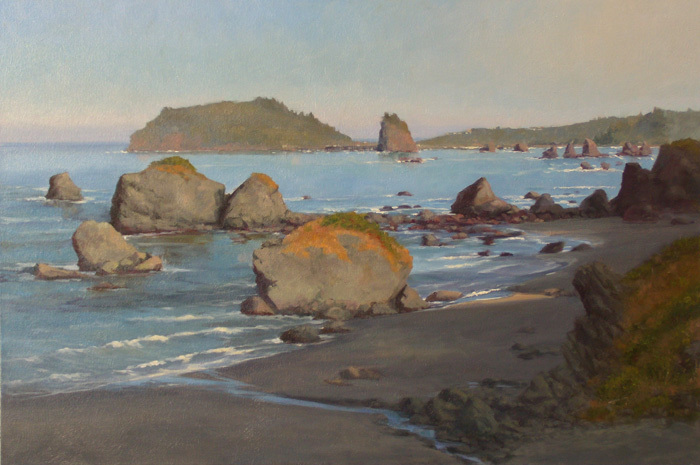 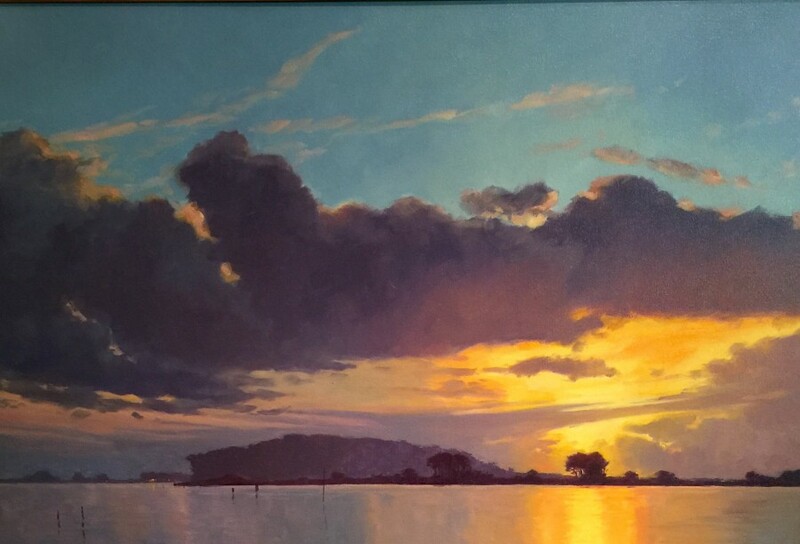 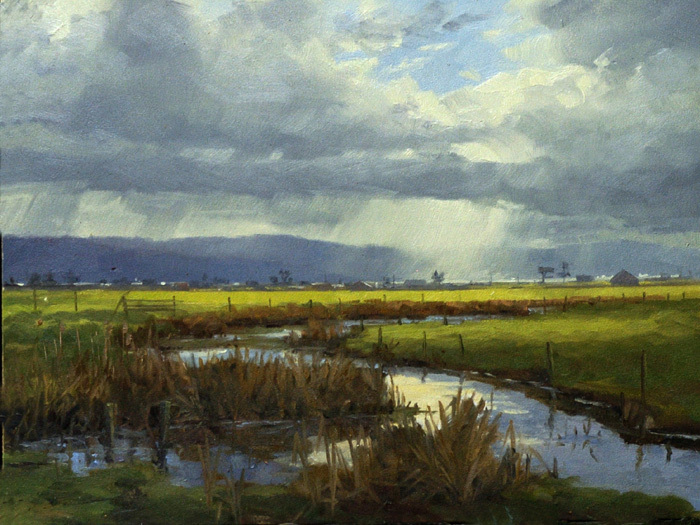 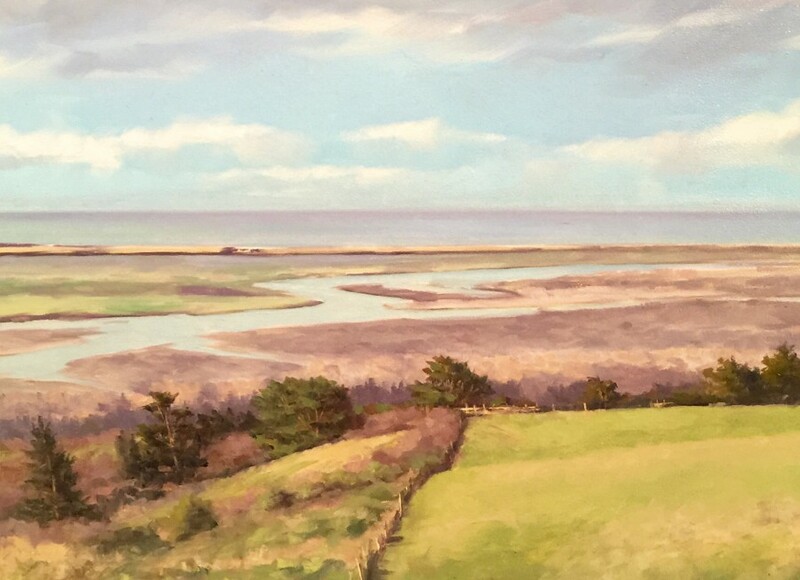 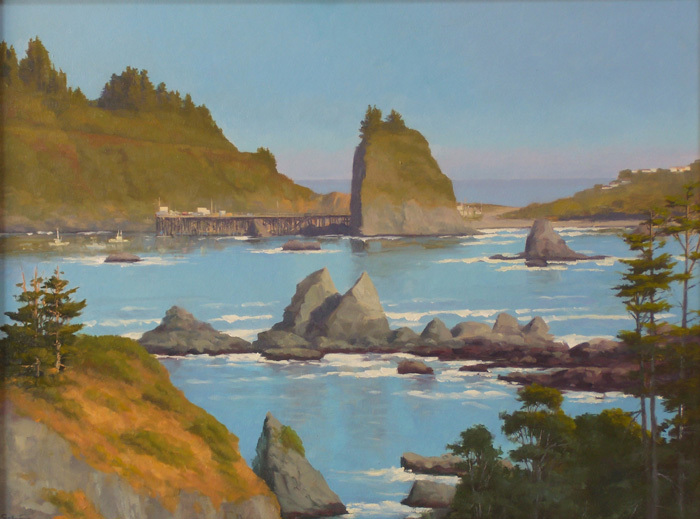 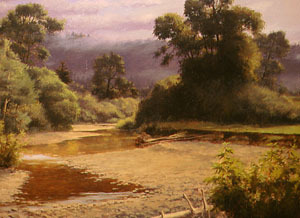 His paintings are admired by many Nothern California painters and collectors who are often "taken aback" by his ability to re-create the mood, feeling, and temperature of the landscape we know so well. 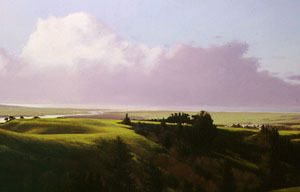 Schlueter is a graduate of the University of Northern Colorado and has been showing works throughout the West Coast since the early 80's.